Over two weeks have passed since WSF Montreal closed. I hope everyone is back, feeling responsible for the next step or others…. Well, now we need your help. Let me know info on tritium ASAP, please. Masumi Kowata, a town councilor at Okuma, Fukushima who had lived several kms away from the accident Fukushima Nuclear Plant, tries to get scientific information on tritium. According to her, officials from the TEPCO and the Environmental Department repeated at the meetings, “Tritium is safe. Taking it into our body causes no problem. In France people don’t care about it. In Korea they throw away it a lot.” She doubts it. Could you tell me how tritium is dealt with in France, Korea or others, and scientific data or essay on tritium as well? And also as a coalition member helping close a nuke plant – Gentilly 2 in the area (Trois-Rivières) where I have popular enviro & citizens’ communication advising for some time, I know how activist’s work in identifying tritium discharge into important St. Lawrence River here in QC, very much motivated the citizens (and some politicians), enabled us to increase public awareness on theoretical “shut down” at the time. Few of us were experts on nuclear tech and tritium but any person reading – hearing about more than average discharges, automatically reacts and demands accountability on this to his or her local and national governments. Kahnawake, Mohawk Territory, due south of Montreal Island, very close (15-20 min vehicule time). the best person to talk to on tritium issues I can think of is Ian Fairlie He has worked specifically on tritium and other internal emitters for decades. He is Canadian born but has been living in the U.K. for a long time. You can use my name as means of introduction when getting in touch with him (Ian Fairlie ). are no plastic wrappers inside the body! damaging (per unit of radiation energy) than x-rays or gamma rays. 15 times more damaging than gamma radiation. Pronuclear scientists often use half-truths to mislead people. in the womb of their mothers. Don’t heistate to ask if you have more questions. (1) Tritium is a radioactive form of hydrogen. A tritium atom is three times as heavy as a normal hydrogen atom. (2) The radioactive emissions of tritium are difficult to detect, because no penetrating “gamma rays” are given off. ItWhen a tritium atom disintegrates it gives off a single non-penetrating “beta particle” — a very high-speed energetic electron. (3) The beta “rays” from tritium have a very short path, not much more than the diameter of a single cell. So most of the biological damage is done one cell at a time. As a result tritium is harmless outside the body but harmful inside the body. (4) One “becquerel” is one radioactive disintegration per second, so if there are (say) 100 becquerels of tritium per litre of water, it means that there are 100 disintegrations going on EVERY SECOND in that litre of water. That means 100 beta particles being given off per second, or 6 000 per minute, or 360 000 per hour, or 8 640 000 per day. (5) Tritium has a half-life of 12.3 years. This means HALF of the tritium atoms will disintegrate in 12.3 years, and half of what remains will disintegrate in the following 12.3 years, and so on. So after 123 years there will be only about 0.1 percent of the tritium atoms left. (6) If you started with a million million becquerels of tritium, after 123 years you would have about ten million becquerels left, and after ANOTHER 123 years you would have about a thousand becquerels left. That’s almost 2.5 centuries. (7) At Fukushima, contaminated water is stored in about 1,500 tanks and contains about 2,300 times the amount of tritium mentioned in (6) above. So after 2.5 centuries there would still be about 2.3 million becquerels of tritium left. (8) Tritium is usually released into the environment as “tritiated water”. These are water molecules (H2O) where at least one of the hydrogen atoms is radioactive tritium. Thus tritiated water is radioactive water. It is not like ordinary water that has been contaminated with other material, it is water whose molecules are themselves radioactive. (9) Ordinary filtration systems or municipal water treatment plants are unable to remove tritium from drinking water, because you cannot filter water from water. Trititated water behaves almost exactly like ordinary water. (10) Tritiated water enters freely into all living things, and the radioactive tritium atoms can replace non-radioactive hydrogen atoms in organic molecules inside the body, including DNA molecules. This is called “organically bound tritium”, and it remains in the body much longer than the tritiated water itself. (11) When a pregnant mother drinks tritiated water, the embryo ends up with a higher concentration of tritium than the mother herself. Tritium easily crosses the placenta and enters into the fetus. (12) In Canada, the “allowed” limit of tritium in drinking water is 7,000 becquerels per litre. Two separate and independent scientific advisory bodies (ACES and ODWAC) found that this level is 350 times too high in comparison with the maximum allowed levels of other cancer-causinmg chemical agents. (13) All nuclear reactors give off a lot of tritium into the environment, but Canada’s CANDU nuclear reactors give off far more than any of the power reactors in USA or Japan. Canada built a very expensive “TRITIUM REMOVAL FACILITY” to try to remove as much tritium as possible because of harmful radiation exposures to the workers and to the environment. (14) Technology does exist to remove tritium (see #13 above) but it is much more sophisticated than what iOS found in home or municipal water treatment systems. Please find below the NRC (Nuclear regulatory Commission in the US) text on the risks presented by Tritium. 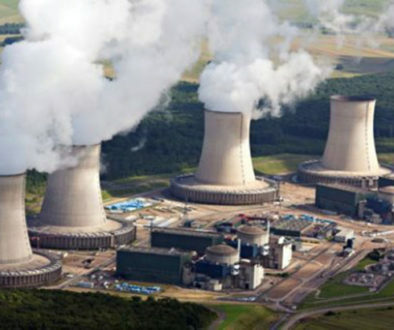 The risk presented by Tritium in water leakage from reactors is seriously dealt with in France. Tell me if further information is needed. What are the possible health risks from tritium radiation exposure? The NRC agrees with national and international radiation protection regulatory agencies that any exposure to radiation could pose some health risk. This risk increases with exposure in a linear, no-threshold (LNT) manner. Lower levels of radiation therefore have lower risks. The health risks include increased occurrence of cancer. Since it is assumed that any exposure to radiation could pose some health risk, it makes sense to keep radiation doses as low as reasonably achievable (ALARA). The NRC’s radiation dose limits and ALARA requirements minimize the health risk and ensure that no individual exceeds federal health and safety standards. A millirem (mrem) is a term that scientists use to describe how much radiation the body absorbs. For example, scientists estimate that we receive a dose of 620 mrem every year from natural (e.g., radon) and human-made (e.g., medical) radiation sources. The NRC sets dose limits for radiation workers and the general public well below the levels of radiation exposure that cause health effects in humans – including a developing embryo or fetus. The effects of high doses and high dose rates are well understood. Public health research, however, has not established health risks at low doses and low dose rates – below about 10,000 millirem (mrem). The NRC calculated a maximum annual dose of less than 0.1 mrem to a member of the public from a significant tritiated water spill at the Braidwood Station nuclear power plant in Illinois. This dose is well below the NRC’s 500 mrem dose limit for declared pregnant workers at nuclear facilities and the 100 mrem annual dose limit for members of the general public. For additional comparison, the average U.S. citizen receives about 310 millirem annually from natural sources, mostly radon gas (NCRP, 2009). No adverse health effects have been discerned from doses arising from these levels of natural radiation exposure. Man-made sources of radiation from medical, commercial, and industrial activities contribute about another 310 mrem to our annual radiation exposure. The NRC website has more information on the health effects of radiation. The NRC evaluates radiation protection recommendations from international and national scientific bodies to ensure our standards are appropriate. Among those standards, the NRC and EPA have established three layers of radiation protection limits to protect the public against potential health risks from nuclear power plant spills or leaks of radioactive liquid. The NRC’s analysis shows doses to the general public from abnormal tritium releases at nuclear power plants are well below the strictest protective limits and, therefore, do not pose a measurable risk to public health and safety. The NRC requires that nuclear plant operators must keep offsite radiation doses from gas and liquid releases as low as reasonably achievable. For liquid releases, such as diluted tritium, the ALARA annual offsite dose objective is 3 mrem to the whole body and 10 mrem to any organ of someone living close to the plant boundary. This ALARA objective is 3% of the annual public radiation dose limit of 100 mrem and a small fraction of the natural background radiation dose. If a nuclear power plant exceeds half of these radiation dose levels in a calendar quarter, the plant operator must investigate the cause(s), initiate appropriate corrective action(s), and report the action(s) to the NRC within 30 days from the end of the quarter. EPA radiation dose limits related to nuclear power are 25 mrem to the whole body, 75 mrem to the thyroid, and 25 mrem to any other organ of an individual member of the public. NRC regulations incorporated these EPA standards in 1981, and all nuclear power plants must now meet these requirements. These standards apply to nuclear power plants and facilities that mill and manufacture nuclear fuel. The NRC’s ALARA objectives are lower than these EPA standards (NRC, 1980). The NRC’s final layer of protection of public health and safety limits radiation doses to 100 mrem per year for individual members of the public. This limit applies to every civilian facility that uses radioactive material. The NRC’s 100 mrem per year dose limit is related to the 1990 recommendations of the International Commission on Radiological Protection (ICRP). The ICRP’s scientists provide recommendations regarding radiation protection, including dose limits. These dose limits are often implemented by governments worldwide as legally enforceable regulations. The ICRP recommended the 100 mrem per year limit after concluding a lifetime of exposure at this level would result in a very small health risk and is roughly equivalent to background radiation from natural sources (excluding radon) (ICRP, 1991). The U.S. National Council on Radiological Protection and Measurements (NCRP) also recommends the dose limit of 100 mrem per year (NCRP, 1993). The EPA’s authority under the Safe Drinking Water Act sets Federal limits for drinking water contaminants. Water suppliers must provide water that meets these standards, called maximum contaminant levels. Some states have adopted the EPA’s drinking bwater standards as legally enforceable groundwater protection standards. These standards are often used in assessing laboratory test results of water from private wells. The EPA website has more information on drinking water and health. Picocurie (pCi) is a term that scientists use to describe how much radiation and, therefore, how much tritium, is in the water. A pCi is a unit that can be directly measured by laboratory tests. In 1991, EPA used improved calculations to conclude a tritium concentration of 60,900 pCi/L would yield a 4 mrem per year dose. However, EPA kept the 20,000 pCi/L value for tritium in its latest regulations.